Singapore - Traditional street food thrives across Asia, as it does around the world, reflecting in unique ways local history, culture, ingredients, and tastes. Street hawkers in Vietnam serve up a beloved rice noodle soup called pho (pronounced "fuh"). Indonesia gave the world satay - skewered and grilled meats. Multi-cultural Malaysia has satay too. And spicy laksas. While Thail and has a green papaya salad called som tam that's hot and sour and helps counter the tropical heat. Singapore's street foods are largely the same as those found in neighbouring Malaysia - both share a long history under British rule and briefly merged until Singapore's expulsion in August 1965 - and in Indonesia. An apt example is a popular dish called rojak, a traditional fruit and vegetable salad dish that means "mixture" or "eclectic mix" in the Malay language. Even Singapore's national dish, Hainanese chicken rice, was brought by immigrants from the Hainan province in southern China. < p>Yet Singapore is making a bid for a unique distinction among Asian street food traditions. As its neighbours and food critics scoff, the city-state is preparing a petition for UNESCO recognition of its hawker culture, and a listing on the UN body's Representative List of the Intangible Cultural Heritage of Humanity. Neighbouring countries with revered street food traditions such as Malaysia - where the city of Penang is renowned for its hawker culture - see the effort as pushy and divisive. Malaysian celebrity chef Redzuawan Ismail, better known as Chef Wan, told local media it was "arrogant behaviour". "I don't think it's wise for them to do this because it'll create a lot of unhappiness among the people in terms of branding," he said. Bee Yinn Low, a Malaysian cookbook author who blogs at Rasa Malaysia, told Al Jazeera that Singapore's bid was purely about marketing. "There is nothing unique about Singapore hawker culture," she said. "If UNESCO approves their application, it would be a real shame, not to mention that Singapore would create a very hostile environment for its neighbouring countries, which have so much more to offer as far as hawker food culture and tradition." But others support the idea. 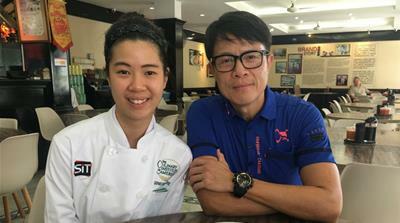 "While one may find similar dishes throughout the region in terms of ingredients, Singapore is unique in combining flavour profiles and cooking techniques that are inspired and created by its multiracial population," American-born chef Eve Felder, managing director at The Culinary Institute of America, Singapore, told Al Jazeera. "From these diverse cultural infl uences, Singapore has developed a unique street food culture that stands in a class of its own." Announcing Singaporeâs intention to win the designation, Prime Minister Lee Hsien Loong called hawker centres a unique part of Singapore's identity. 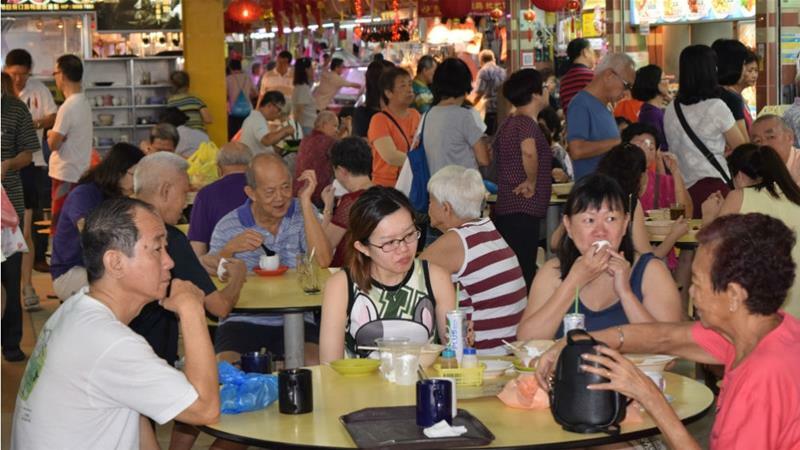 "Hawker centres are our community dining rooms," he said at a National Day rally in August. Like their counterparts elsewhere in Southeast Asia, Singapore's hawkers once dished out food from rickshaws and mobile carts on the streets, staples such as char kway teow, fried carrot cake, and fish ball noodles. But from the 1960s, the travelling vendors were moved into government-built open-air hawker centres as well as to food courts and coffee shops, all of which serve as neighbourhood social centres and meeting places. KS Teng, 60, shows up each weekday morning at a bustling hawker centre in Singaporeâs central Ang Mo Kio neighbourhood for coffee and breakfast, greeting friends and neighbours, before heading to work. "There's no other place like the hawker centre," he said. "If you go over to Malaysia, they have the food but they don't have the hawker centre culture." Lily Kong, a Singapore Management University professor who is part of a 14-member committee set up to oversee the UNESCO bid, stresses hawkers are very much part of Singapore life. "It is quintessentially multicultural and it mirrors very much Singapore's evolution in urban development, food culture and heritage, and societal fabric," she said. "It i s something that Singaporeans identify themselves with and cuts across multiple social and cultural groups." 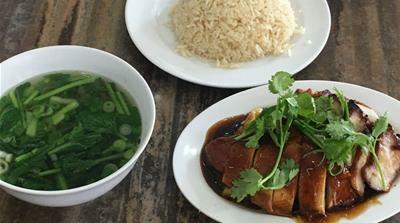 Many worry Singapore's hawker culture is endangered by economics and changing tastes. With fast-growing wealth (memorably portrayed in the hit movie Crazy Rich Asians) and the popularity of celebrity chefs and Michelin-starred restaurants, Singaporeans worry about the loss of their traditional street fare, which can go for as little as S$3 to S$4 ($2.17 to $2.90) for a meal. As older hawkers retire, younger Singaporeans aspire to careers that involve shorter hours, better pay, and air-conditioned offices. Genevieve Lee, 21, helps her father, David Lee, 52, in a family business founded by her grandfather in 1968. Lee Fun Nam Kee started as a hawker stall and today operates as a thriving open-air coffee shop; its critically acclaimed chicken rice going for S$4 a plate. "It's k ind of a nostalgic experience; the feeling that comes with the food," Genevieve Lee said. "Every day you see people gathering around, your neighbours, your friends." But a young person becoming a hawker is an exception to the rule. Singapore has schemes to encourage more young hawkers, as well as to expand on the roughly 110 hawker centres that host more than 6,000 hawker stalls across the island. Many doubt it's enough. UNESCO's Representative List of the Intangible Cultural Heritage of Humanity, created in 2008, already includes batik from Indonesia, yoga in India, and Malaysia's Mak Yong theatre. As one o f the criteria for inclusion is strong public support, Singapore's orchestrated campaign includes an online petition. So far, more than 35,000 Singaporeans have pledged their support. Sitting at a table at his coffee shop, David Lee says the biggest thing that makes Singapore's hawker culture stand out may be the government's involvement, from building and regulating hawker centres to draw vendors off the streets, to aggressively marketing its food tourism. "In Singapore, hawker culture is much more organised because of the government," he said.